Earlier in February, the Department of Health declared a measles outbreak in several regions in the country. According to the DOH, there were 8,443 confirmed cases of measles as of Feb. 16. Data showed a sharp 253 percent increase compared with the number of incidents recorded in the same period last year. Of this number, 136 fatalities were reported. Measles is a highly contagious and infectious disease. It can be transmitted by coughing or sneezing or through direct contact with anyone infected. The virus is very infectious and droplets in the air may infect people entering a room up to 30 minutes after an infected person has left it. Symptoms, according to the World Health Organization, include high fever that lasts four to seven days, runny nose, cough, red and watery eyes, and white spots that develop inside the cheeks. After a few days, rashes appear and spread all over the body. Children aged five years old or younger, and adults 21 and above are especially vulnerable to complications caused by measles. Some of the common complications are ear infections and diarrhea, while severe complications include pneumonia and encephalitis. There is no specific antiviral treatment for measles at the moment. The most effective tool against it is prevention through immunization, especially in young children. Proper oral, hand, and body hygiene helps stop the spread of measles virus. 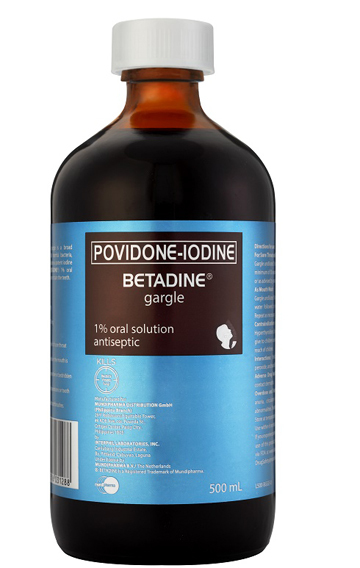 Povidone-Iodine (Betadine) Throat and Mouth Care solutions, composed of Povidone-Iodine Gargle and Povidone-Iodine Throat Spray, claim that they are proven to effectively kill Rubeola virus that causes measles. In a laboratory test conducted by Japanese doctors in 1997, they proved that Povidone-Iodine was able to kill many viruses, including measles virus, in a relatively short span of time. 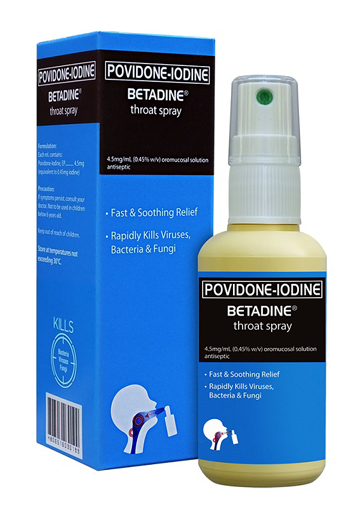 Povidone-Iodine (Betadine) Gargle and Povidone-Iodine (Betadine) Throat Spray are available in drugstores and supermarkets nationwide.